New Zealand captain Brendon McCullum set a new record for the fastest Test century after lunch on the first day of the second Test against Australia on Saturday when he clouted exactly 100 runs in 54 balls. McCullum, who hit 16 fours and four sixes to notch his 12th Test century, needed two fewer balls than the 56 that West Indies’ Viv Richards needed against England in Antigua in 1986 and Pakistan’s Misbah-ul-Haq took against Australia in Abu Dhabi in 2014. McCullum’s century took 79 minutes, the fourth fastest on time behind Jack Gregory who hit 100 in 70 minutes against South Africa in 1921. 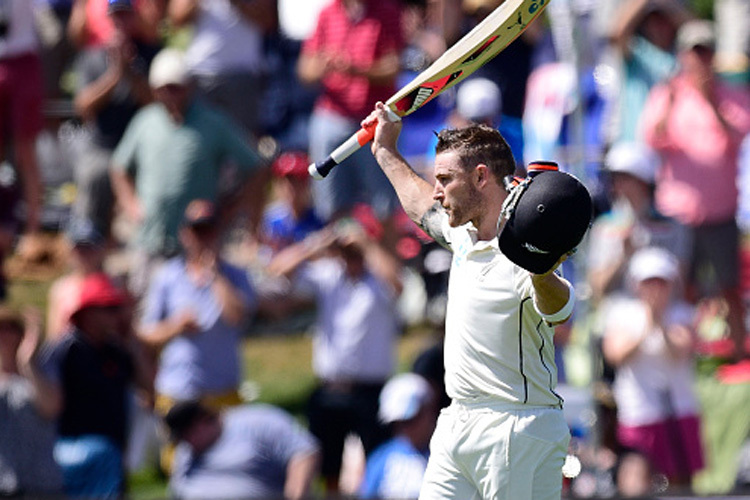 It was the 12th hundred of McCullum’s career and included 17 fours and four sixes.